With all the old logging roads and paths through the bushes, you don’t have to go far to find a trail you’d love to discover on horseback. The old deactivated rail bed that runs along the Slocan River is a good place to take your “hay burner”. The trail has been bedded and groomed by the Slocan Valley Heritage Trail Soceity and is lovely horse footing. Horses and riders that are used to travelling on roads and encountering cars, wildlife, domestic animals, the occasional dirt bike, skidoo or logging truck, do just fine here. Currently there are no horse-specific facilities like overnight corrals or “Bed & Bale” establishments for visitors, but now that we have this lovely trail through the entire valley, we have great hopes that facilities will spring up soon. 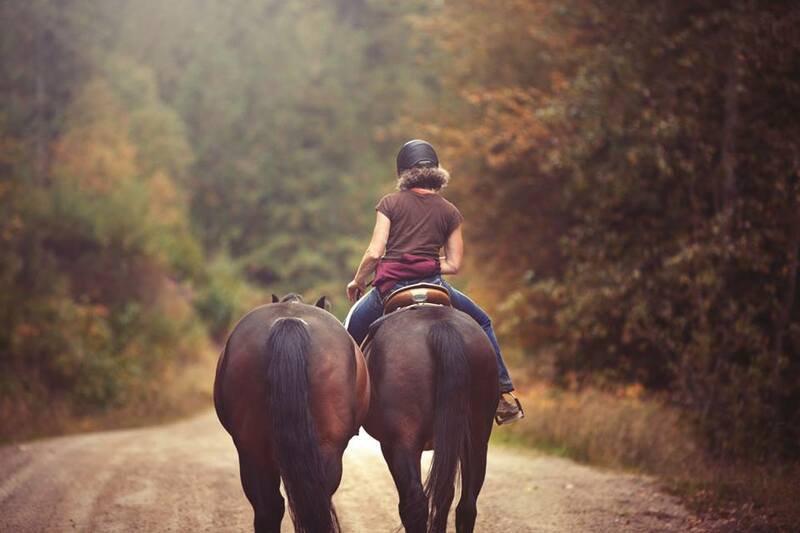 If you want more information about ‘horsing around’ in the Valley, contact the Slocan Valley Outriders – a club where horse lovers share their equine passion, and coordinate equine play days, clinics, and trail rides. For more information contact Tammy Steen or visit the Slocan Valley Outriders profile page in the Community Organisations section of the Valley Directory.